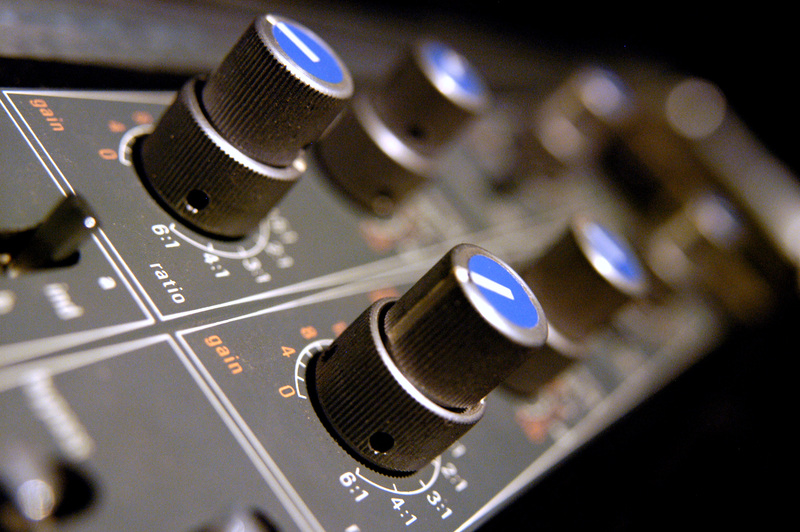 Compression, Limiting, dynamic range and the K14 standard. Compression always seems to be some mysterious amalgam of effects processing and dynamics control for many who are just getting to know it. Limiting holds much of the same mystique. Neither of which are to be feared. They are simply tools used to control the dynamic range a piece of music. So the first question we must answer is what is dynamic range? The dynamic range of a piece of music, Or any audio track for that matter is the range in decibels between its average volume and its loudest or peak volume. Dynamic ranges very greatly from style of music to style of music. In fact, they can vary greatly from song to song on the same album. The reason that it is so important to understand dynamic range is that dynamic range conveys the sense of importance of one section of music over another. And it does so through volume. When a heavy rock song breaks down to a very soft bridge, even though the volume has become reduced, that section of the song takes on an extra bit of importance because of the drastic change in volume. It catches your attention. It’s like putting an exclamation point at the end of a musical phrase. But we can’t talk about dynamic range without talking about RMS value. RMS stands for “root mean squared”. In electronics, RMS is used to describe the direct current value of an alternating current system. Alternating current is subject to changes in frequency and amplitude just like any other sine wave, including sound. In audio production, the RMS value represents the average volume and is the lower measuring point of our dynamic range. In the sound reinforcement world, this is also known as program volume. So what does this have to do with compression and limiting? The dynamic range of an audio track is actually measured by the difference in decibels between its RMS value and its peak value. For example, if you have a piece of music whose RMS value is -10db, at its peak value is -3db, than it has a dynamic range of 7db. Put simply, all that a compressor does is limit the dynamic range of an audio track. If 7db of dynamic range is too much for a particular instrument or vocal in your arrangement, then you can simply use a compressor to reduce that dynamic range. Compressors operation can often be daunting for new users to understand. I’m sure that we will dedicate a blog entry solely to compressor operation and best practices. A limiter is more or less a compressor with a very high compression ratio (typically 20:1 or more). Limiters are also used for controlling dynamic range as well, but typically more for controlling peaks that extend beyond what you would want as your maximum volume level. In mastering, the limiter is one of the final stages of the process and is used to bring the volume up so that the track falls within the desired dynamic range. Again, more on this in another blog. So is there a standard value for the dynamic range of a song in the music industry? Unfortunately the answer is no. For years studios and record producers pushed the envelope of the CD medium to make albums as loud as possible. You can find tons of information about this aspect of recording history by looking up “loudness wars” on your favorite search engine. The problem with making a song as loud as possible is that what your ears perceive as loudness is really the song’s RMS value. If the RMS value for example is -4db, and your peak value is -1db, that leaves you with only 3db of dynamic range. This makes it much more difficult to build excitement and release through the course of a song. Several years ago, a mastering engineer named Bob Katz had been researching the dynamic range standards used in the film industry. He put forth an idea for the same type of standard in the music industry and he called it the K-system. It was a simple system comprised of three main standards, K-12, K-14, and K-20. Each one of these standards represented Bob’s ideal dynamic range of audio volume for its particular application. The K-12 system, having the smallest dynamic range was mainly for broadcast. The K-14 system (which in case you haven’t noticed is where we got our name from) was set forth for most commercially recorded music and for home theater systems. The K-20 system was conceived for larger theaters and musical recordings that would benefit from a wider dynamic range such as orchestral recordings. The way it works is pretty simple. If you were to use the K-14 system, which we use most often here, you would leave around 14db of dynamic range between the peak value of your audio and your RMS value. The K-12 and K-20 systems use the same methodologies of 12db and 20db of dynamic range respectively. So why does all of this matter anyway? Why not just make it loud? Because music is a physical manifestation of thought and emotion. Dynamic range assigns a level of importance to these thoughts and emotions within a musical movement. If I were to whisper in your ear, it would convey a very different message then if I were to scream in it. The dynamic range of a piece of music operates in much the same way. And where as compression is an essential tool in recording, if abused or used improperly, you can crush the dynamic range of your song and therefore its level of emotional emphasis. We talk very technically about music and music production all the time. But we must not forget that music is an art form. It is a human way of expressing ideas. And just as humans must have room to breathe to thrive, we must give our music room to breathe as well. Previous Post Do I need an analog summing mixer? Next Post How do I know when my song is finished? How long should mixdown take?